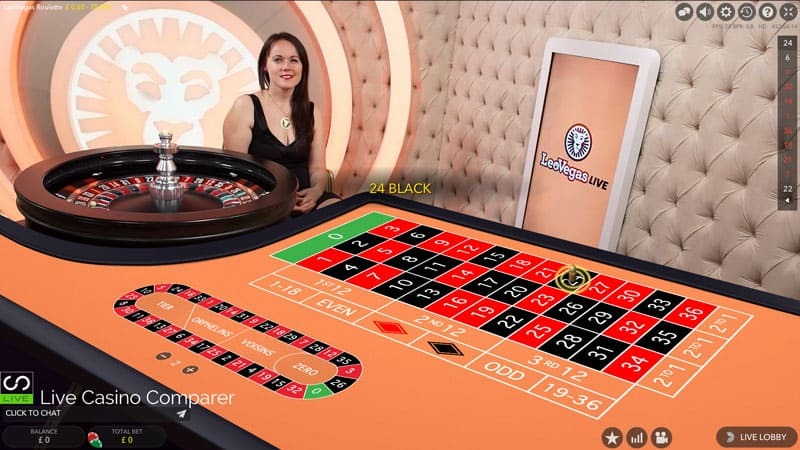 Leo Vegas have opened their very own dedicated live casino environment at Evolution Gaming’s Riga Studios. The area has been named “Chambre Separee”, which translates into English as “Seperate Room”. I have to say that Leo Vegas are really going for it at the moment. I guess it must have something to do with the investments made into the company following their recent launch on the stock market a few months back. I had heard on the grapevine back in March 2016 when I visited Evolution Gaming that Leo Vegas were building their own studio and now some 3 months later it has gone live, albeit softly to begin with. 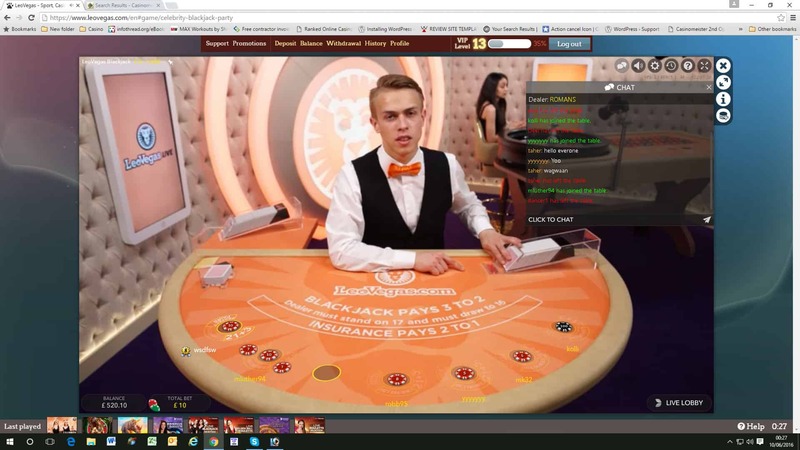 So there are three tables, two Blackjack Tables and one Roulette Table. 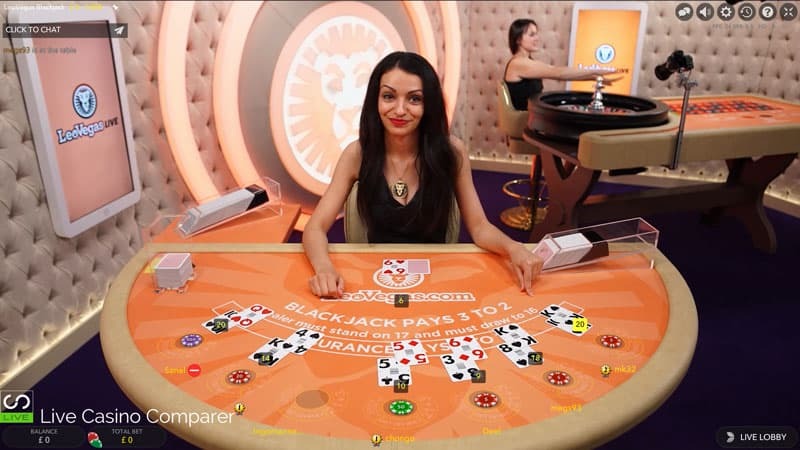 Two of the tables are open on a 24 x 7 basis and the 3rd table, a Party Blackjack table (Celebrity Blackjack) is opened for 8 hours in the evening when the tables are at their busiest. Stakes at the Blackjack tables are great for new players with a Minimum hand starting at £5 up to a max of £1,000. 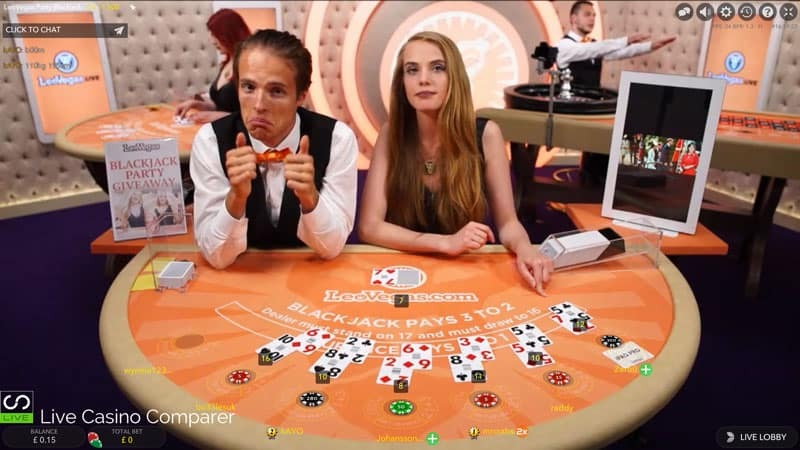 Higher stakes are available at the generic blackjack tables, where maximum bets go up to £5,000. 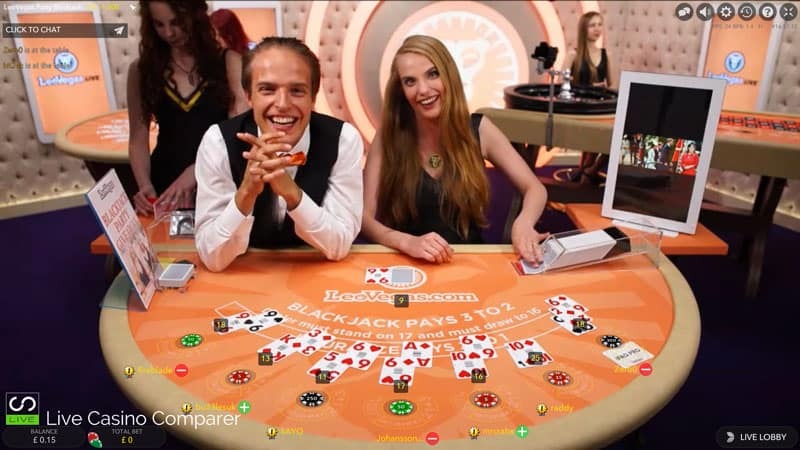 The Party or celebrity Party Blackjack tables has two dealers and boy can they talk. The game is almost a secondary consideration, but it’s still controlled and dealt in the usual very efficient Evolution manner. 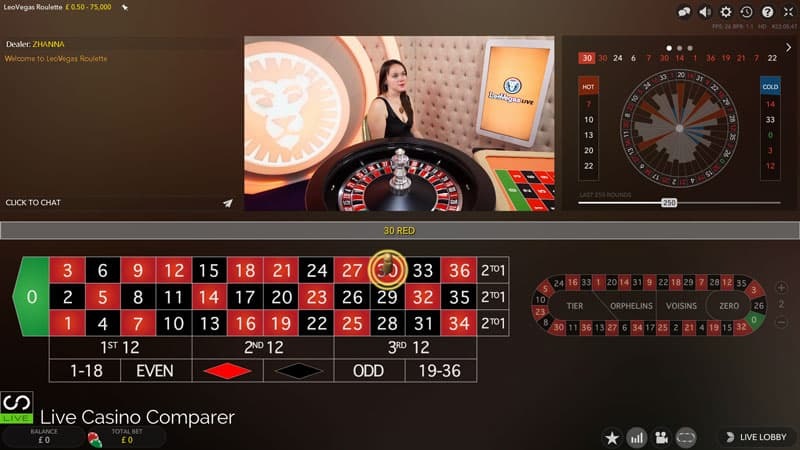 Roulette is using the very impressive new HD User Interface and can be displayed in 2 modes. I have to share two screen shots that I took. The first is of the Celebrity Party Blackjack table. I caught the action just as the dealers were in an in-depth discussion. Made me laugh when I saw the expression on her face. !